The #950 Japanese Skipper was only released in Japan. There were two main differences in the U.S. version and the Japanese version: her very black eyes and her mark. 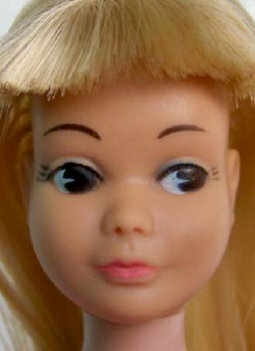 She was marked © 1963 Mattel, Inc. She was available with either blonde, brunette or red hair.